Family-friendly shows. 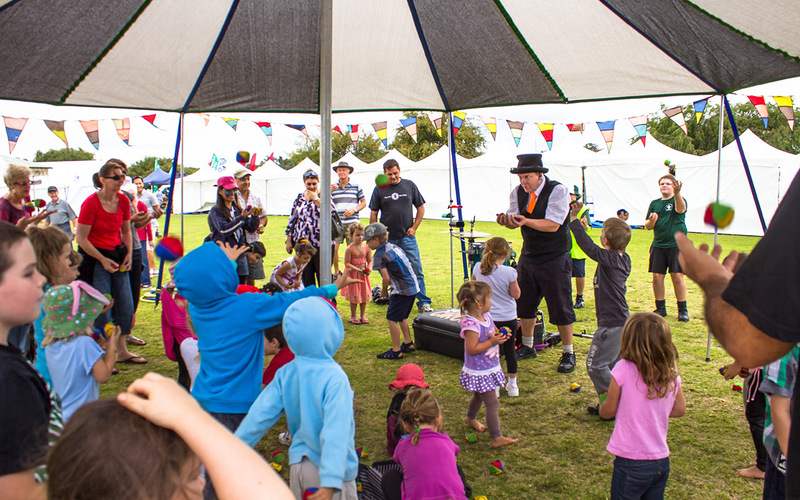 Interactive circus fun for Festivals. Roll up, roll up! It’s good old-fashioned fun, right here, right now. 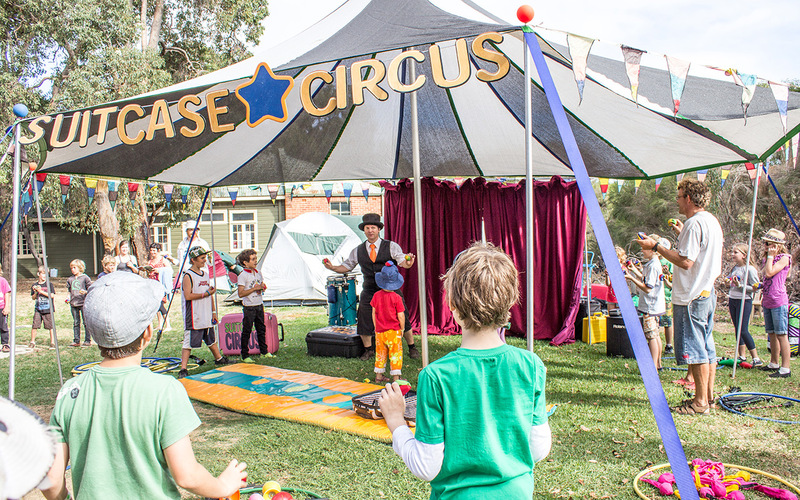 Our mini-top overflows with lively circus games for everyone to enjoy. 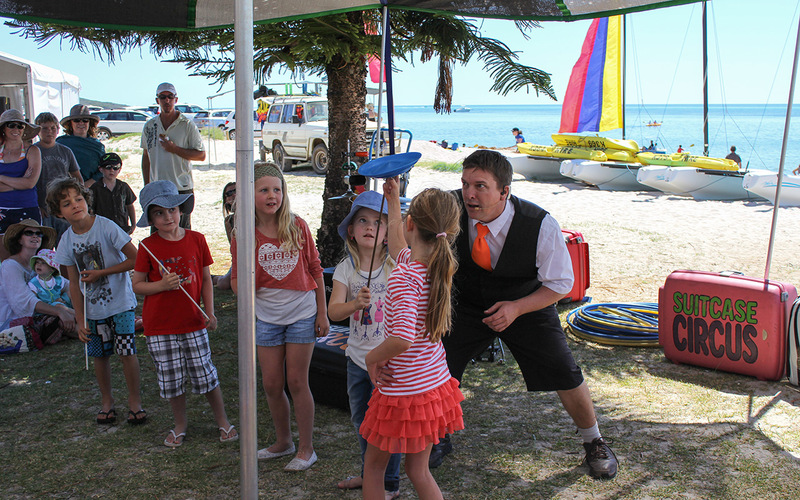 Fantastic entertainment featuring festival kids as stars of the show. 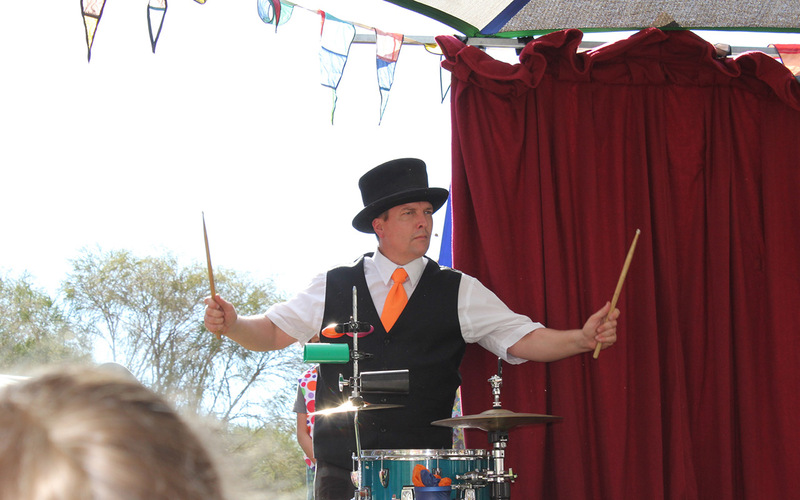 Joe Bolton creates an exciting 'make-a-circus', with plenty of volunteers from the crowd showing off their skills to the beat of the circus drums, much to the amazement and amusement of family, friends and onlookers. 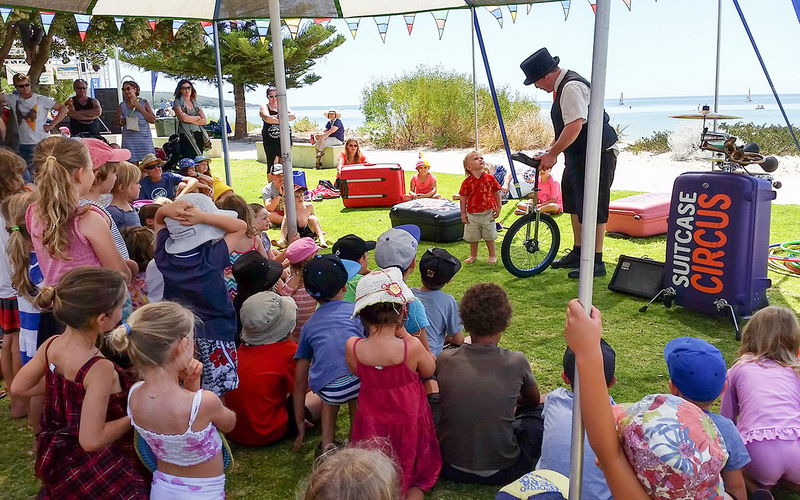 With balls popping out of the suitcase and diabolos flying high in the air, this engaging and inclusive show features some top-notch juggling, a team of plate spinners from the audience, a brave circus stilt-walker and a great deal of ukulele unicycle confusion. 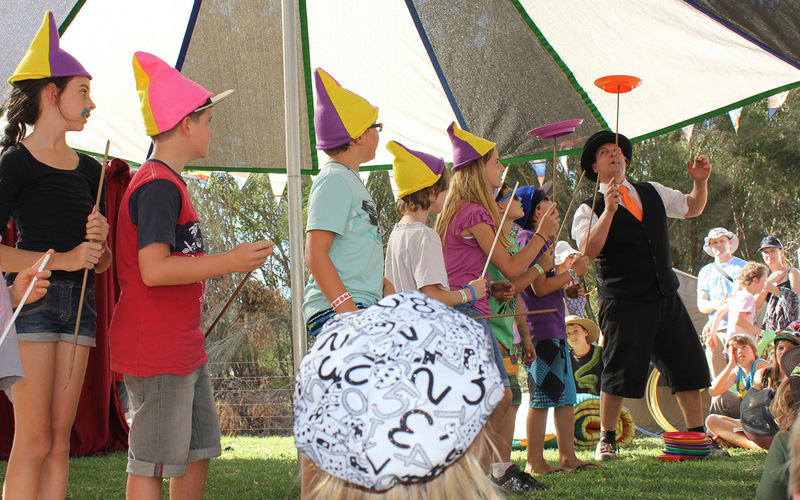 Joe expertly rolls from the show into a dynamic juggling game enjoyed by all ages and an open circus play session. 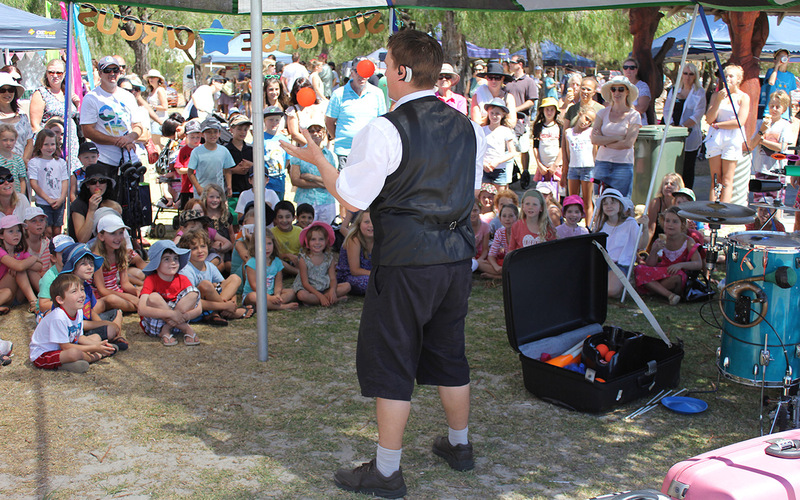 With this format we are able to adapt the time of any shows to suit the flow of an event on the day, with ongoing circus skill activities between performances. Upcoming show times are drawn up on the chalk board that hangs in the mini-top. 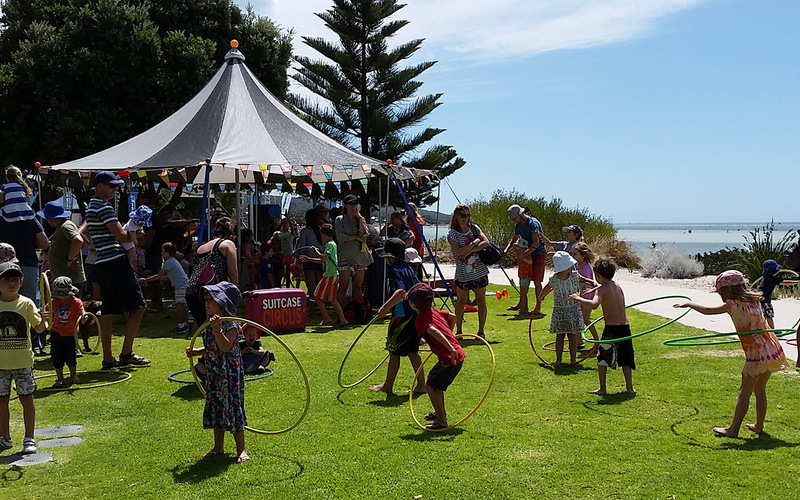 Our distinctive shade canopy adds to the carnival atmosphere and provides a central place for our festival activities and entertainment. The mini-top requires a suitable surface to peg down into, preferably grass. 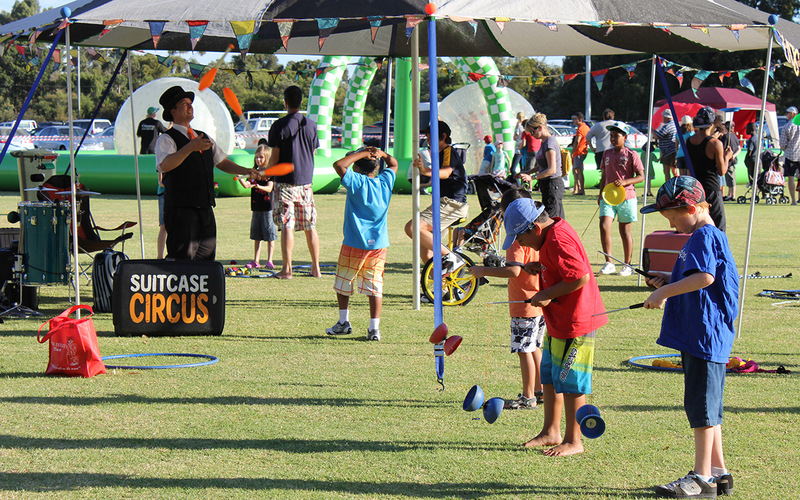 Size including pegs: 10 metre diameter. 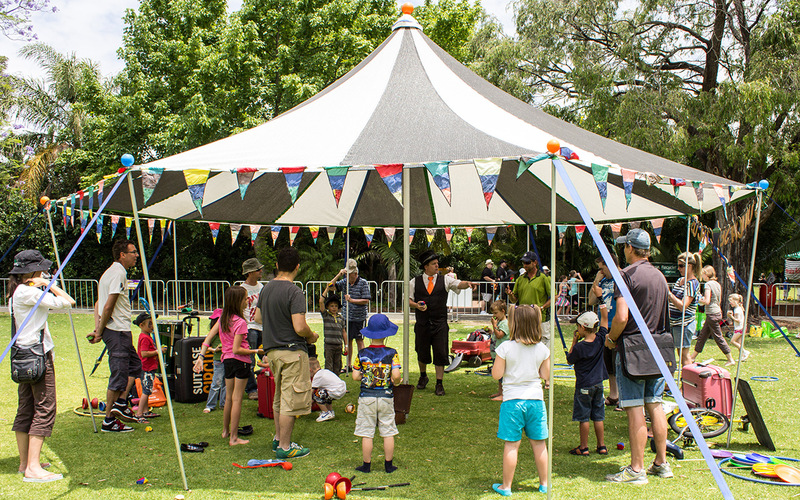 Shade canopy: 7 metre diameter. 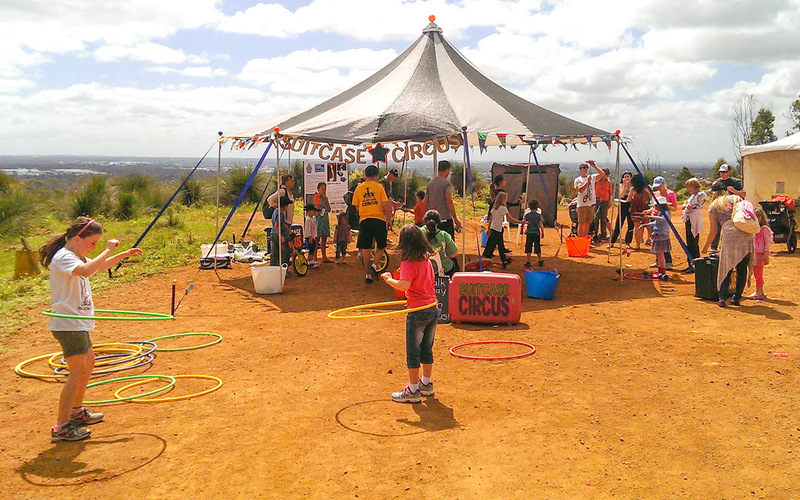 Some additional open space for circus play sessions is ideal. No power required, we use a compact mobile P.A. system for this format. 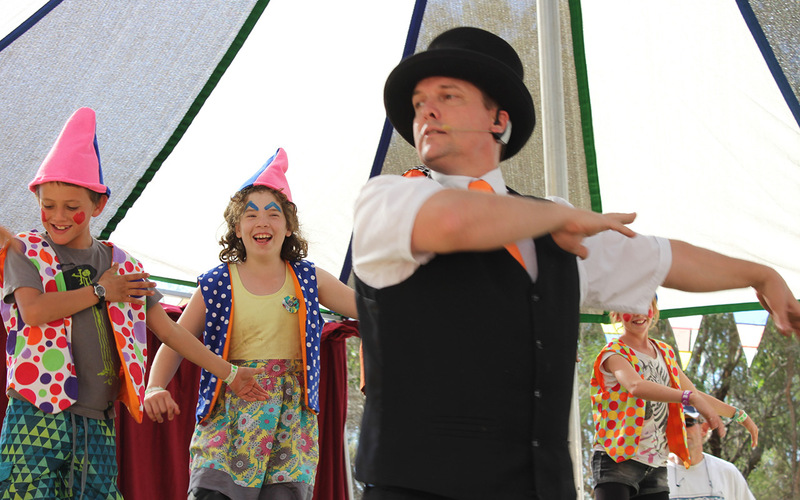 We also offer interactive shows and open circus skills workshops without the mini-top. 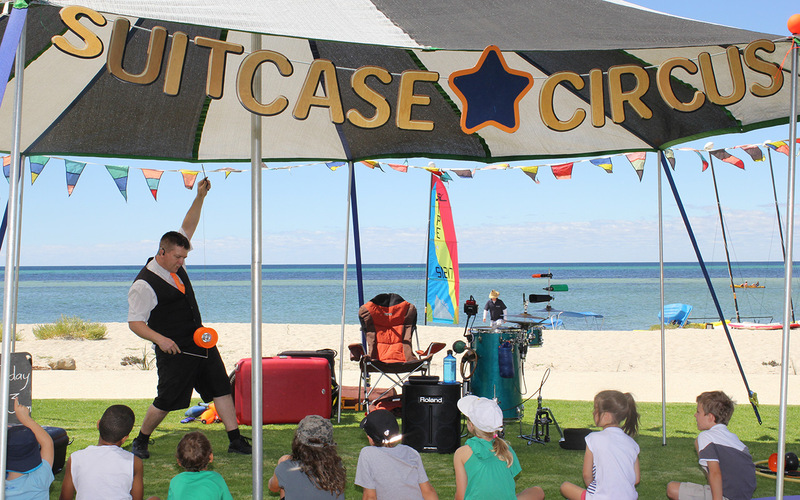 The best form of family-friendly entertainment for your fair, fête or fun day, bringing the circus in a suitcase for every occasion. 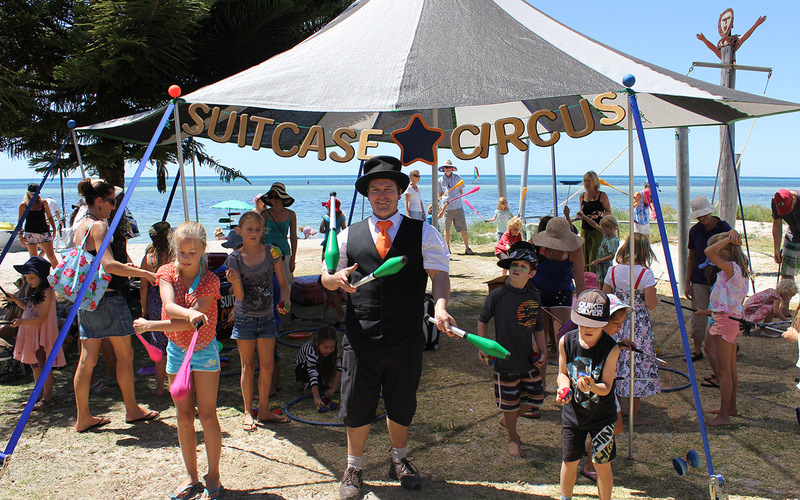 Joe Bolton’s Suitcase Circus makes a wonderful addition to any celebration or gathering. Please contact us to talk possibilities.